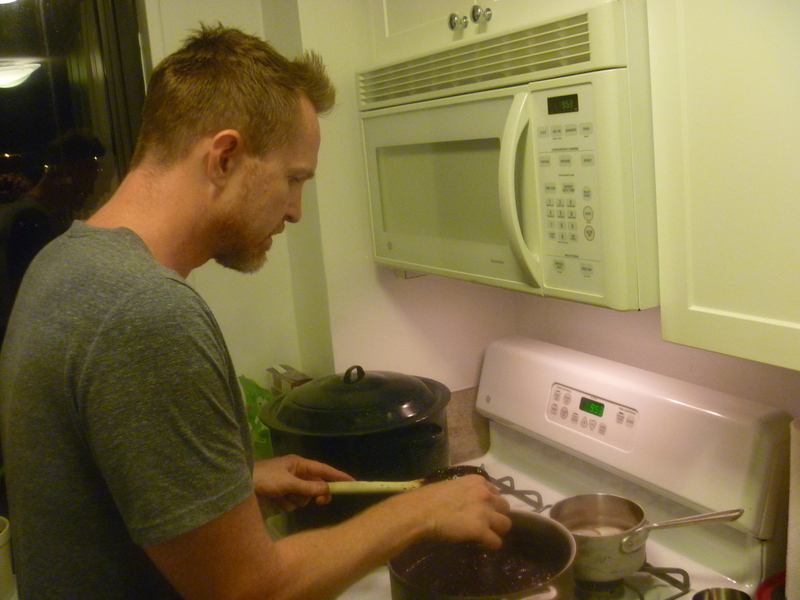 A few weeks back I went to my friend Michael’s place in Harlem to help him can some Blueberry jam. 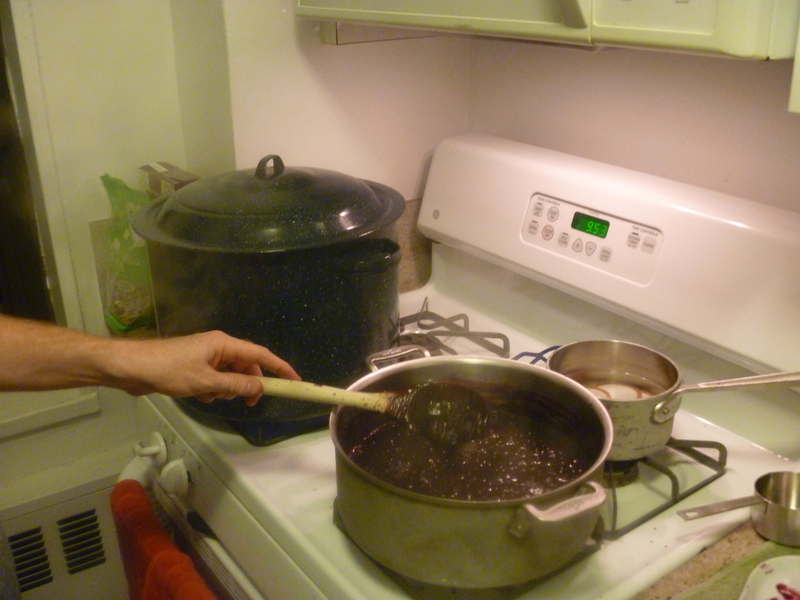 This was the second batch he had made, the first batch he’d canned the night before had a pronounced sweetness and was redolent of lime. Even thought the blueberries took second place to the sweet lime flavor it was really delicious and would have been a real treat on toast with salty butter. The second batch had less sugar and no lime. I admire Michael’s gumption, over the last couple of summers I’ve done a fair amount of canning, but so far this year I have done one batch of pickled ramps and that’s been it. In part it’s because I realize that my larder is still full from the canning I did last year, in part I just seem to have lost my canning mojo this Summer…I’m hoping late August tomatoes send me into a canning frenzy: I certainly have a yearning to make a batch of chili sauce, which I think makes a great substitute for ketchup. Blueberries are a bumper crop this year, when I was out on Fire Island wild blueberry bushes heavy with fruit dotted the board walks. At the market they also been plentiful, though I have held off from buying any waiting for the word from my friend jane whose daughter and son-in-law own Intervale Blueberry farm in Maine. Every year I order 20 or so pounds, eating as many of the fresh ones I can and freezing the rest. The berries are smaller and more flavorful than the conventional ones you mostly see because they are organic. If you are a big blueberry fan like my friend Michael or I am you should check out Intervale’s site it’s informative and gives you ordering info on how to get the best blueberries on the east coast. 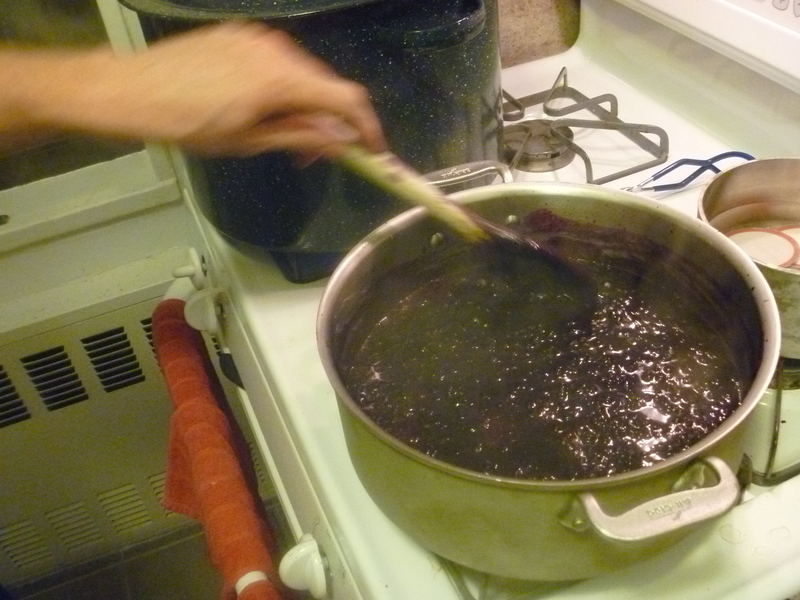 This entry was posted in NYC, Other Stuff and tagged blueberry jam, canning, intervale organic blueberries, Maine. Bookmark the permalink.